Original EAD Tereus as seen in Inferno Release 1. The EAD Tereus is an Earth Alliance destroyer, based on the old GTD Orion. It houses many spacecraft within its fighterbay. 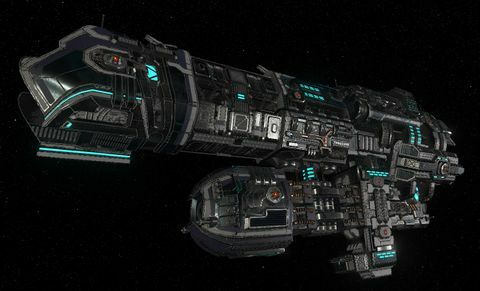 Based on the old Orion destroyer, the Tereus has numerous beam cannons mounted on her port and starboard quarters, but can also deliver a significant punch from her forward cannon as well. A distinct lack of anti-fighter turrets has cost the EA several Tereus units to medium bomber attacks. Based on the old Orion-class destroyer, the Tereus has numerous beam cannons mounted on the port and starboard quarters, but can also deliver a significant punch from the forward cannon as well. 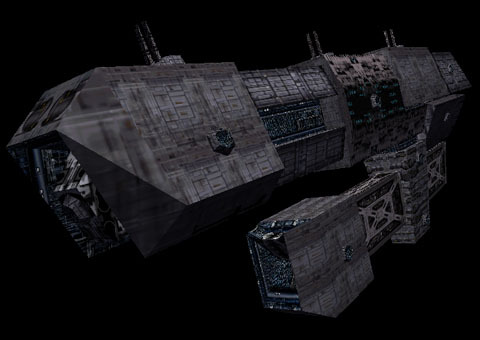 The Tereus carries a large strikecraft group, but a distinct lack of point defense turrets has cost the EA several Tereus units to medium bomber attacks. In Greek mythology, Tereus was a Thracian king the son of Ares and the naiad Bistonis. He was the brother of Dryas. Tereus was the husband of the Athenian princess Procne and the father of Itys. The Tereus isn't dangerous towards fighters, but is very dangerous to cruisers and corvettes. The best place to attack from is from behind, below the thrusters. The engine wash and turrets shouldn't bother you too much if you park there and pound away, but considering the nature of most of the INFR1 missions, there will probably be a horde of fighters to hunt you down. 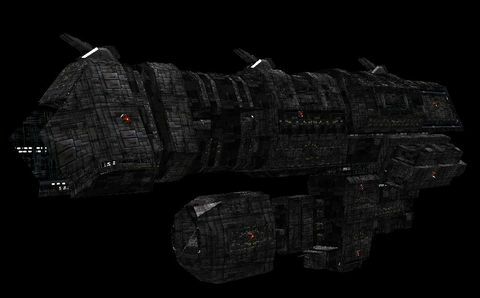 Tereus was supposed to be capital ship of Tau Imperium along with ITD Ryujin in Over the Top mod. This is evidenced by original filename in INFR1 release - taud-inf.pof.